Beyond Allowance, How Can I Help my Kids Understand Money? | Autumn Answers | Kids VT - small people, big ideas! Even though I've carefully taught both of my children how to load the dishwasher, when they do, it looks as though it's been packed by a blind baby gorilla short on time. It's almost impressive, except that it's completely irritating. Kids are smart, and pretending they forgot how to do things they've been repeatedly taught how to do is a good strategy for avoiding work. It doesn't cost them anything. In fact, it often buys them time at the expense of ours. Here's the thing: I don't want to spend a second of my day doing things for my kids that they can do for themselves. Rearranging the dishwasher is nowhere on my Oprah "live your best life" vision board. What does this have to do with financial literacy? Well, the last time I opened the dishwasher to see cereal bowls teetering right-side up on the tines of the rack and glasses lying on their sides, I summoned my son from his room, pointed to the problem and said, "From now on, every time you pack the dishwasher like this, you owe me $20. If you want me to do your work for you, you have to pay me for my time." There are countless opportunities to engage our kids in conversations about money that go beyond, "Can I have my allowance?" The Forbes article, "Money Lessons at Every Age," suggests age-appropriate financial concepts such as delayed gratification, AKA "Sometimes we have to wait to buy the things we want." Learning to prioritize is also important. Money is finite, which means we're always making choices about how to spend it. Coffee from home or from Starbucks? New shoes or ones from the thrift store? 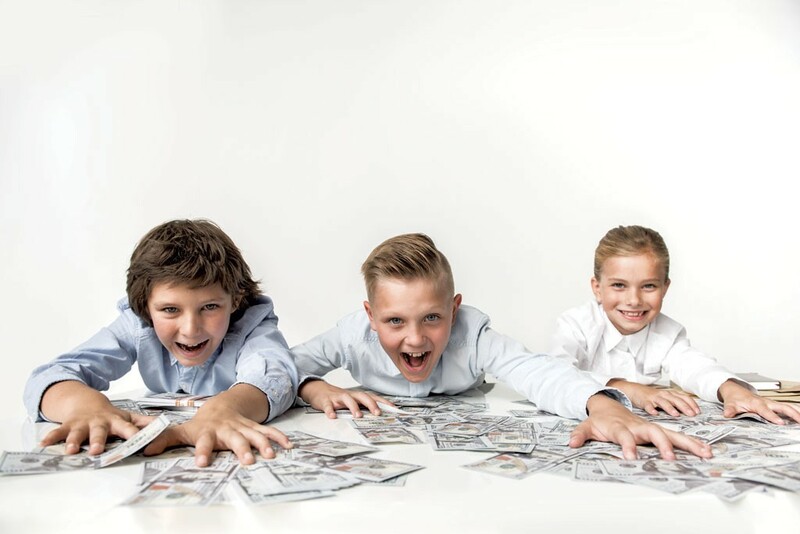 If your kids are ready to learn about bigger financial concepts like investing, taxes and cryptocurrencies, Heads Up Money is an engaging book full of interesting facts and anecdotes. Buy or borrow a copy and leave it cracked open on the table. The graphics will draw them in. Financial literacy isn't about raising the next Federal Reserve chairwoman (although that'd be cool). It's about helping our kids make sense of how money fits into our everyday lives — how we earn it, manage it and use it. It's about taking a concept as abstract as currency and making it as real as owing your mom 20 bucks.